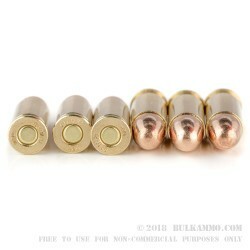 Prvi Partizan makes it cheap and easy to practice with your carry weapon with this .32 ACP range ammunition. 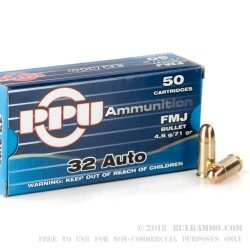 Each cartridge in this box of 50 fires a 71 grain full metal jacket bullet at a muzzle velocity of 902 feet per second, producing typical .32 Auto ballistics and good accuracy at typical pistol ranges. A great choice for Kel-Tec P32s, Walther PPs, or SIG P230s. 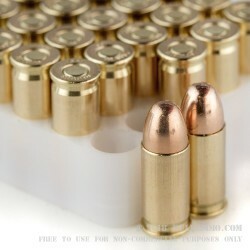 Like other Prvi Partizan ammo, these rounds are loaded in Uzice, Serbia and use non-corrosive Boxer primers and reloadable brass cases. 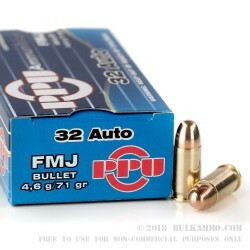 PPU has been in business since the 1920s, when it was founded to provide ammunition for hunters and the military. The company received its current name after World War II, when its machinery was used to produce ammo for Yugoslav "partisans" fighting Axis occupation.